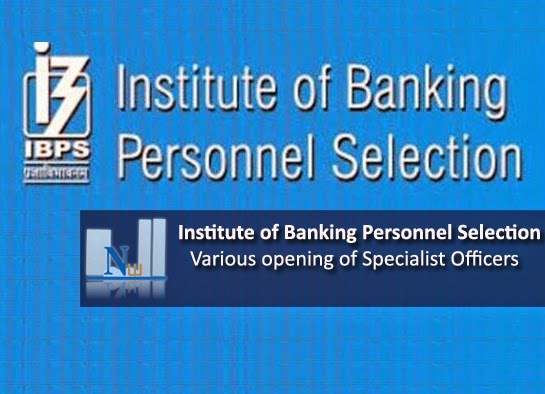 Interview : Candidates who have been shortlisted in the examination for CRPSPL-IV will subsequently be called for an Interview to be conducted by the Participating Organisations and coordinated by the nodal banks with the help of IBPS. Interviews will be conducted at select centres. The centre, address of the venue, time & date of Interview will be informed to the shortlisted candidates in the call letter. Candidates are required to download their interview call letters from authorised IBPS websitewww.ibps.in. Please note that any request regarding change in date, centre etc. of interview will not be entertained. However the conducting agencies reserve the right to change the date/ venue/ time/ centre etc. of interview or hold supplementary process for particular date / session / venue / centre / set of candidates at its discretion, under unforeseen circumstances, if any. The total marks allotted for Interview are 100. The minimum qualifying marks in interview will not be less than 40% (35% for SC/ST/OBC/PWD candidates). The weightage (ratio) of Online CWE (exam) and interview will be 80:20. The combined final scores of candidates shall be arrived at on the basis of total scores obtained by the 7 candidates in CWE (SPL-IV) and Interview. Interview score of the candidates failing to secure minimum qualifying marks or otherwise barred from the interview or further process shall not be disclosed. A candidate should qualify both in the CWE and interview and be sufficiently high in the merit to be shortlisted for subsequent allotment process, details of which will be available subsequently on IBPS website. While appearing for the Interview, the candidate should produce valid prescribed documents given below. In the absence of documents candidature of the candidates shall be cancelled. IBPS/ Nodal Bank/Participating organisations take no responsibility to receive/ connect any certificate/remittance/ document sent separately.